"WOW, this is good." 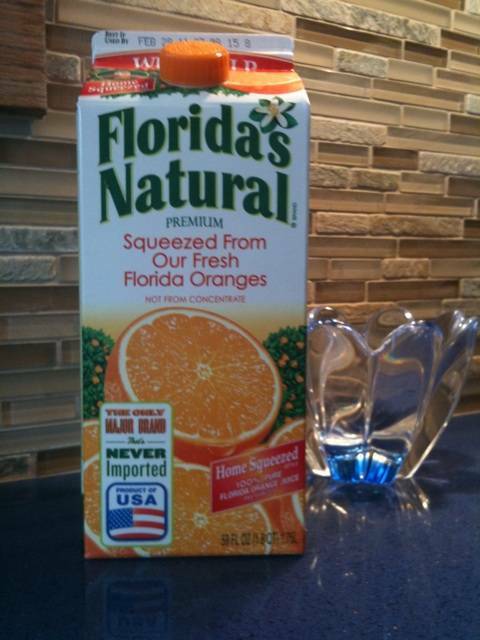 I proclaimed in a shocking tone after taking my first sip of Florida's Natural Orange Juice. Am I the last person on earth to have tried it? 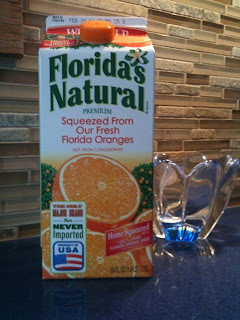 I received a coupon from Smile.ly for a free carton of Florida's Natural in return for my honest opinion. Sure, why not. I've had the coupon for over a month and I finally finished the other OJ we had in the house (the brand name rhymes with one of Barry Manilow's greatest hits). Off to Meijer I headed. Orange juice is pricey. The pricier the better, right? Florida's Natural was one of the least costly (what I consider uber CHEAP for OJ) in the entire isle. First thought? Oh this isn't going to be good. Any of you have a Juicer? I do. Nothing can compare to fresh squeezed OJ. Or so I thought. If I hadn't seen myself pour this juice from the carton I would have thought my hubs had pulled out the ole Jack LaLanne! All I can say (OK, not all, I'm very chatty today) is Florida's Natural OJ is the best I've ever had. It was like drinking straight from an orange. We finished the carton in one day. Another great thing? On the carton proudly displayed is a Product of the USA seal! When they say Product, they mean not only was the juice squeezed and packaged in the USA but the oranges were made here too-the only brand name juice NEVER IMPORTED! Seeing this made-up for my upset of the botched anthem at the Super Bowl and reminded me of a time when most things were proudly Made in the USA. How much do you know about your orange juice? Take this quiz to find out! *I received a free sample from Smile.ly in return for a review of the product. This is my honest opinion.